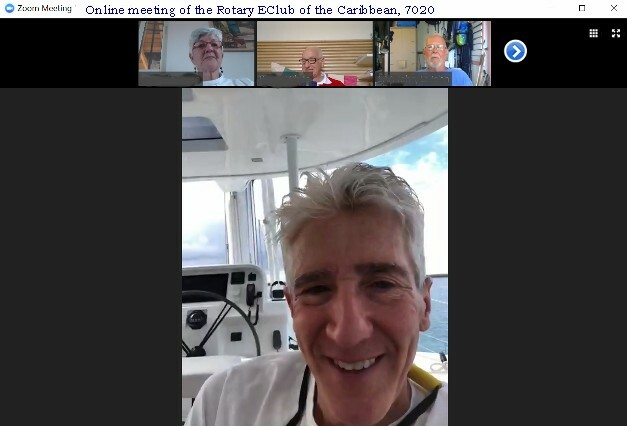 The Rotary eClub of the Caribbean, 7020 weekly meeting today was joined by a member of the Rotary Club of St John whilst sailing. Other members shown were located in Spain and the USVI, just to prove that Rotarians can meet from wherever. We meet every Saturday at 9:00AM AST (which is equal to Eastern Daylight Time).